I kinda agree to this. There are days I wish Id just wake up to sudden news that PPC actually got caught dating or is getting married LOL. Lately I feel like my shipper heart is getting hungrier so I want to see updates that would validate our PPC speculation to be true. if they not gonna end up together, then who the heck they gonna end up with?!? I know they will always deny everything but same here. I sometimes wish for more validations, otherwise, the belief that they are having feelings for each other but not yet fully committed might be correct. SSC and other couples who are now public, there were more than one dating rumors which they denied everytime but after being lielow for several months another rumor comes out again. Until the time came when they were ready to admit. It looks like PPC rumors has died down now. There were those who believe they were in a Some before but decided to be apart for the sake of their careers. Most Korean media believed they were not fake news last July - August 2018. But I wonder about now? January 2019? I wonder if Korean media still think the same? KNetz seemed to have accepted that PPC dating was merely rumor. They did not comment about them anymore. my sister is a fan of hyun bin since ‘lovely samsoon’ and she said to me she’s pretty convinced HB-SYJ are dating coz she followed shippers acc.. but they denied dating and bam! they were caught shopping together lol. seems like they are really dating each other. And my sister said dont worry coz psj-pmy are dating too.. it’s just a matter of time they will come forward with it (unless they break up bfore they are caught or they go public)..
Yeah, just realized that and was going to edit my comment. Still silly to get upset, though. just an actress is mentioned in adultery﻿, the actress gets severe damage and can be able to be removed from k-ent in Korea. 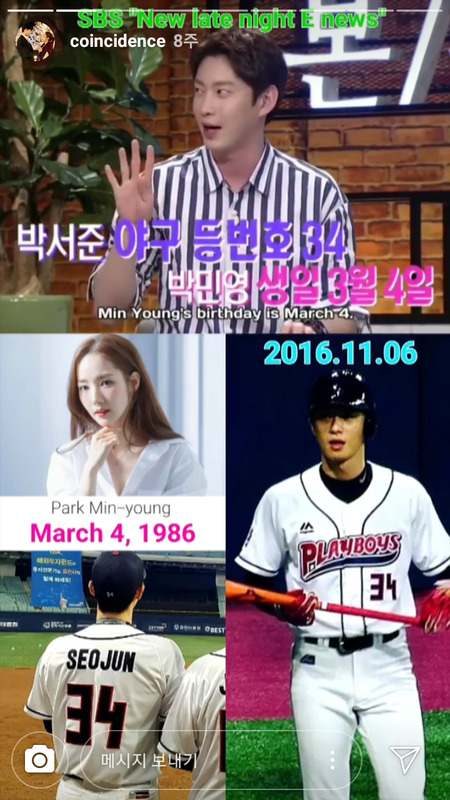 like that although the rumor between jung yoo mi and PD na young suk is absurd, some people still believe there is something between them and curse her. and even she was in Naver search ranking 1 under the title of adultery﻿ for 2 days. the rumor also started from knetz's joke "i think there is love something between jym and pd nys. oh don't be serious, it's just a joke haha". remember that if you say it just for fun and just kidding, it can be severe damaging to actresses and actors. I think PPC have special feelings for each other but are now focused on their careers. Love can wait kind of thing. SAVING ALL MY LOVE FOR YOU title can be a message to PSJ that she will be saving her love for him while in the meantime she will be busy with many projects. Only the title can have a connection to PSJ because the lyrics is about adultery. I somehow agree with this.. BUT.. I think they are "exclusively dating" each other now (after WWWSK).. Meaning, they are not open or interested in other people but each other. It just happens that they have a lot on their plate for their careers and giving each other the time, but I think they are confident with each other now. They both value their careers also and worked hard to get where they are now. I just really have a good intuition that they understand and respect each other on that aspect. I can't really explain it.. but I am just really at ease that someday they will give us the "good news"
As a long time fan of many Korean couples. Shipping them based on clothes, shoes and location of the houses is very shallow shipping. I've been burned and hurt as a fangirl many times on that basis alone. Now that WWWSK fever has somewhat subsided﻿ and I have enough time to think clearly without being blinded by too much delulu, my opinion has changed. Yes it is matter of time and only time will tell but in their world, there are too many priorities and temptations, celebrity couples shipped by many seldom end up together. If they are dating now, I hope they remain strong despite rarely seeing each other because of schedules. Most of those now Power Couples who ended up together were not really drama couple with many shippers. Example: Rain and KTH they were not together in a drama. They met thru a CF so they did not have plenty of avid shippers. Ji Sung and Lee Bo Young were in a drama together but LBY was the 3rd wheel not his main partner. So I think it needs a lot of prayer and of course depends on DESTINY if PPC will be meant to be. I certainly hope so. Sorry if my comment added more to your worries but what I was trying to say without explicitly saying is he likes to touch PMY a lot LOL. I’ve seen his other kisses with other leads, to me, theyre acting touches rather than real PSJ touches. Haha. Actually I already have this touchy concern about PSJ way back before. Well woman easily get attracted even for small touch. He always take the leads on any love scenes maybe ..tho it is only an act, actresses cant stop get attracted to him. Plus, he's such a gentleman and hotty. Well I do love him touch PMY more ha ha ha. That shown his affection to her more then. For me the bts scenes doesnt show much yet. We just have to wait for the dvd to come out quickly then. No worries, I still rooting for PPC. But I'll be on PMY side more haha. Btw, when will the dvd come out? Dont you guys think that it takes longer than we expected? ?